This topic contains 2 replies, has 0 voices, and was last updated by Mike Haldas 9 years, 1 month ago. Here is a copy of a recent email response to a customer that was asking questions about CCTV Camera Pros iDVR-E8 – 8 channel stand alone surveillance DVR. 8 channel video input – what connectors BNC or RCA? The DVR used BNC connectors. What NIC (10/100/1000) is supplied to connect to a LAN router for network viewing? Is there provision to install a SATA/IDE DVDROM drive? There is a USB port is you want to use an externa, DVD drive to export video. What frame rate when recording ie 120pps/8 = 15pps per channel? You are correct. All iDVRs support 120 frames per second recording. So for an 8 channel DVR, that is 15FPS per camera. 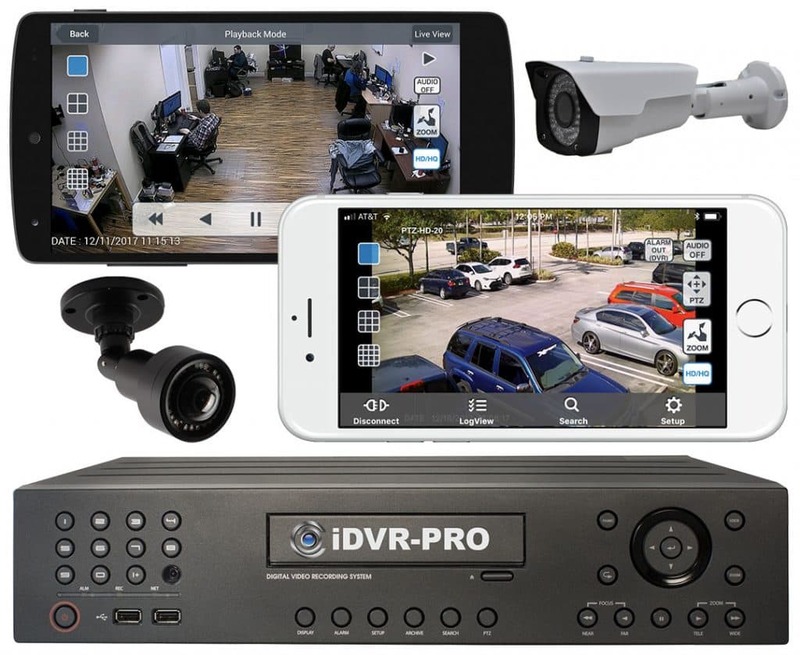 I have already an installed security camera system connected to a DVR H.264, can I replace my DVR with the iDVR-E8, by connecting all my existing cameras to it? My camera are not IP cameras. They are 1/3'Sony CCD IR cameras. Yes, you can use your existing CCTV cameras as long as they use either a BNC or RCA type of connection. Yes, we can ship to Australia. Is software supplied for internet access and iPhone 3Gs viewing? Yes the remote viewing software is supplied for both remote computer access as well as 3G mobile phone viewing. As clarification: I do or don't need a computer connected to the DVR to view the cameras remotely? I am really looking for something to monitor on my smartphone and really don't want to leave a computer connected to the DVR. That is correct. You do not need a computer connected to the DVR to view the cameras remotely. You only need a computer if you want to view from a computer. If you will access from mobile, then no PC is required. More clarification: If I want to view the camera on a smartphone, I'm probably not going to get 512kbps. The system will adjust framerate and/or resolution to fit down a smaller datarate, right? You are correct. The video streamed to mobile is much smaller than to a computer and requires less bandwidth. The frame rate that you get on your phone will be dependent on how fast your Internet connection from your phone is. Is the pan-tilt-zoom control manipulatable via the blackberry interface? PTZ controls are not yet supported for the mobile access of this DVR. Are there any demo screen captures of what this looks like on a Blackberry or Windows Mobile? One more question, will the iDVR-E8 support GV-iView for my iPhone 3GS access? Is the remote viewing software similar to Netviewer v. 1.2? You can access the iDVR from the safari web browser on your iPhone. Here is a link to a video that shows how it works. Remote access will work with WIFI or 3G access from your iPhone. 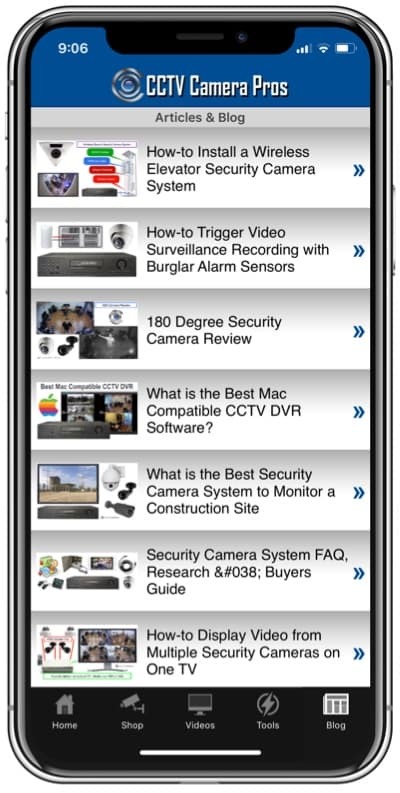 The GV-iView iPhone app is used for Geovision surveillance camera systems, not our iDVR stand alone DVR system.